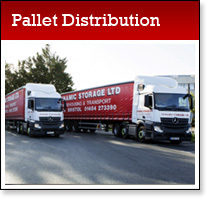 Dynamic Storage is one of the South West’s most popular storage companies. We have 87,000 square feet of storage warehouse space covered by 24 hour security with Red Care and CCTV monitoring. We offer 60,000 square feet of Customs & Excise approved Bonded Warehousing. All goods are racked or palletised enabling immediate access and we will arrange to collect or deliver them for you. We have recently deployed a state of the art stock control system so that you will always know exactly how much of your stock we have on hand. 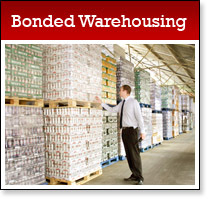 Our bonded warehouse offers you maximum security storage with the minimum of fuss. We have an extensive and modern pallet distribution and transport services fleet, comprising Couriers, Sprinters, Transits vans, and 7.5 tonne, 17 tonne, 45ft Artic’s. We’re just 15 minutes away from the M4 and M5 providing easy access to the motorway networks for the whole of the UK. In association with United Pallet Network UK (UPN), Dynamic Storage is able to offer a cost effective and flexible solution for overnight palletised freight distribution throughout the UK and major European destinations. Dynamic Storage is recognised as the key collection and distribution logistic specialist for UPN in the South West. In addition to our commercial logistic services, we now have extended our comprehensive range of services to include Self Storage for the domestic user. We can provide you with your own secure storage area for temporary storage whilst moving house or for items not easily palletised because of their dimensions beds, furniture etc. Many of our clients find it convenient to site their logistics functions on site at our offices in Stover road, Yate. You may of course operate a business completely unrelated to storage for which you require office space. In either case you will find our offices comfortable, clean and well maintained. For a convenient, cost effective and efficient order processing service ours is second to none. Contact us by email or fax and we pick, pack and deliver your goods to the doorstep of your customer in a timely and professional manner. No order is too big or too small for our dedicated staff to handle. We have hard standing for Caravans and Motorhomes on our secure 2 acre facility within 7′ perimeter fencing.